Habitat - Waste places, roadsides, savannahs, fields, meadows, pastures. Other information - This spiny species can be found throughout much of Alabama but is apparently absent from the northwest section of the state. 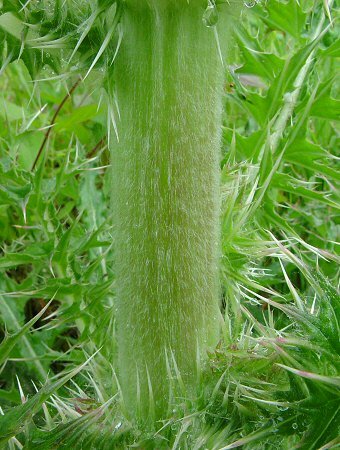 The plant is easily identified in the field by its densely hairy stems, incredibly spiny leaves, and the dense, spiny bracts that subtend each large flowerhead. Typical plants have reddish flowers. Variety horridulum has the yellow flowers shown above. 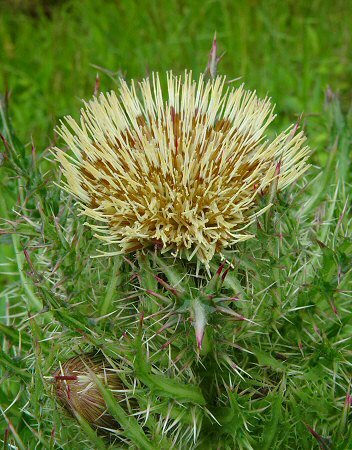 The genus name Cirsium comes from the Greek "cirsi" meaning "a kind of thistle". The species epithet comes from the Latin "horrid" meaning "prickly or rough" and "ul" meaning "diminutive or little". The plant is not aptly named, in my opinion, as it is very prickly. 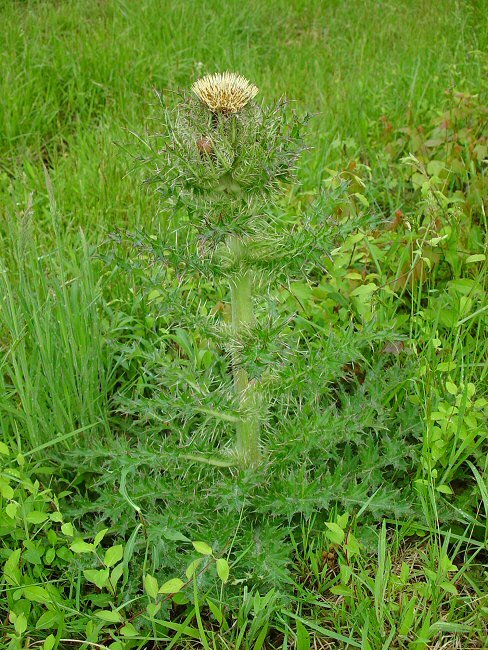 An old synonym for the species is Carduus spinosissimus Walter. spinosissimus means "the spiniest" and is much more fitting a name. Photographs taken in eastern North Carolina, 4-26-03.